Ralph Stanley has been entertaining the masses with his distinctive voice and banjo playing since 1946. Influenced by the traditional music of rural Appalachia he formed the Clinch Mountain Boys, and later The Stanley Brothers, with his brother Carter. The rest became history. As a banjo player he developed the unique “Stanley Style” recognized fast, continuous forward rolls followed by the index finger. In 2002 Stanley won a Grammy Award for Best Male Country Vocal Performance for his version of O Death, produced by T-Bone Burnett for the for the film O Brother, Where Art Thou?. Maximum Ink: What was it like growing up in Southwest Virginia? How were times most different back then? Do you ever miss those days? 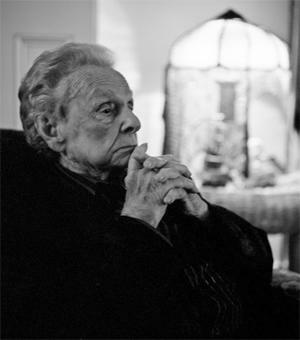 Ralph Stanley: Growing up in the hills of southwest, Virginia was a wonderful place to be born and raised. Of course we faced hard times, but the good outweighed the bad. MI: What do you love most about living in such rural places as Dickenson County? Do people ever ask you why you decided to stay in the area you were raised? RS: I always wanted to stay home in Southwest, VA. A lot of folks ask me why I never moved to Nashville. I love the hills and I wouldn’t live anywhere else. MI: What did it feel like when you got your very first banjo from your aunt all those years ago? Do you remember was running through you mind when you first got it? RS: I was very excited. My mother gave me a choice to pick from a hog or a banjo. A lot of folks don’t know this but I always dreamed of being a veterinarian in my younger days. I Was interested in animals very much. But my mother could only afford one. Both were $5.00. So I picked the banjo. I’m glad I did. MI: What was the music industry like in your earliest days there? Any fond memories that stand out most in your mind from that time in your life? RS: Me and carter (my brother) started out playing at family picnics and for a lot of our neighbors. They really seemed to enjoy what they heard. So we thought that we could make a living doing that. Once we got started, things moved fast. We had a lot of good success. MI: How do you think the music industry has changed most since you first began your career over 60 years ago? RS: Well the music industry has changed quite a bit, but I haven’t. I’m still the same ole mountain singer that sings a song the way I feel it. I don’t try to copy anybody else. I think that’s one of the reasons I have lasted 69 years on the road. MI: What was it like to record O Death for T-Bone Burnett? Did you enjoy seeing it in the film? MI: Does it take a certain amount of love and dedication to continue a career for 6 decades? Do you still enjoy it every bit as much as you did when you performed your first song? RS: Yea it does. Music has always been my life. I’ve never known anything else. It’s not a life for everyone though. I don’t know what I would do if I ever retired. MI: As someone who has been married for over 50 years, what do you think is the key to having such a lasting relationship? RS: I have a very supportive wife who I love very much. She is a wonderful mother to our children and a wonderful grandmother to our grandchildren. She has always stood behind me. I guess she has been my rock. RS: The most important thing is to keep God first. Obey his commandments and thank him every day for giving you the gift of life. Always be honest and treat people the way you would want to be treated. MI: Does it feel good to be back in the studio working on your latest album? What can your fans expect from this one? RS: I’m very proud of this album. All of the guest singers did a fine job. It thrills me that Cracker Barrel and Red River wanted to do this project. I appreciate them so much. I hope my fans will enjoy it. MI: Do you have anything you’d like to say before you go? RS: I want to thank my fans for their support and outpouring of love throughout my whole career. I have no plans of retirement. I still love to travel and get on that stage every night. I’ll continue to do that just as long as the good Lord will allow me to do so.